Coatings Plus: Powder Coating is Environmentally Friendly! Are you working on keeping your products green? Are you interested in sustainability? 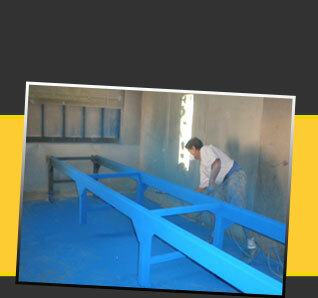 Powder coating does not create the harmful V.O.C.s (Volatile Organic Compounds) that are associated with liquid painting. We produce zero hazardous wastes. Leftover powder is 100% landfillable. To conserve natural resources, we can use customer supplied returnable shipping containers.